Two days ago the team moved from base camp at elevation 4,230m up to the “Condor’s Nest” (high camp) at 5,550m. Yesterday morning, long before sunrise, the team departed high camp for their big push to the summit. They traveled across broad snow slopes, navigated crevasse fields, and traversed across the final, classic, knife-edged summit ridge to stand at 6,438m- the highest mountain in the Cordillera Real of western Bolivia. We love starting a post with CUMBRE!!! Rising above the clouds, Illimami is distinctly visible from the cities of El Alto and La Paz and it’s four jagged peaks are a classic landmark for the region. Climbing Illimani has been the climax of the Bolivia expedition. In the first week of the trip, our climbers worked on developing their mountaineering skills and acclimatizing while climbing the less technical peaks of Pequeño Alpamayo and Huayna Potosi. Although these peaks require less mountaineering skill than Illimani does, that’s certainly not to say that they were easy! 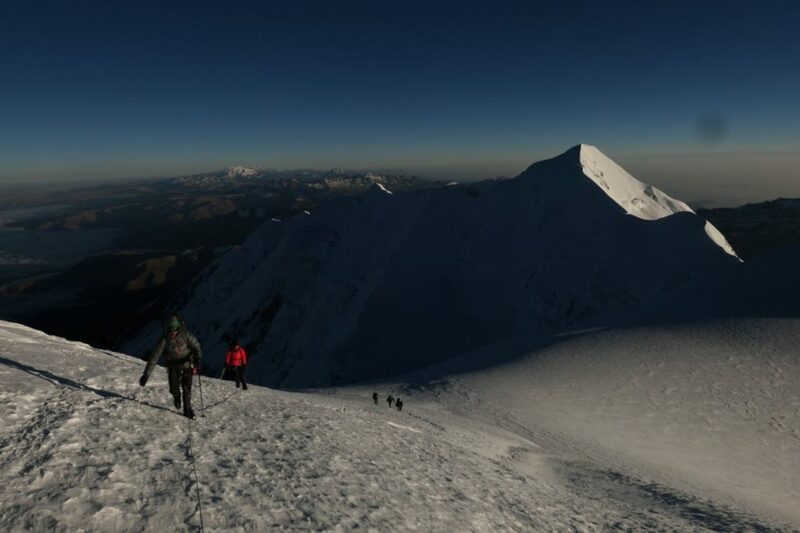 Now, with over 2 weeks of field training under their belt (and a whole lot of delicious Bolivian food under their belts too, more about that next), climbers were ready to tackle the challenge of Illimani. The team traveled across broad snow slopes, navigated crevasse fields, and traversed across the final, classic, knife-edged summit ridge to stand at 6,438m- the highest mountain in the Cordillera Real of western Bolivia. Ok, on to the important stuff, FOOD! When you’re burning about 500 calories per hour climbing, a key factor to success is eating the right amount to keep your body going without bonking. Lucky for our team, Bolivian cuisine offers up plenty of tasty traditional delights. Potatoes, soup, broaster, what more could a hungry climber ask for? With over 4,000 different varieties of native potatoes grown in the Andean highlands of Bolivia, there is no shortage of this delicious starchy vegetable. One interesting variety is a chuño which is a freeze-dried potato product traditionally made by the Quechua and Aymara communities of Bolivia. These tiny potatoes are delicious in soups. Another Bolivian staple is the broaster, these roadside fried chicken, rice, and fries stands are delicious (and cheap) feasts post-climbing. Bolivian food is super hearty, featuring potatoes, quinoa, beans, llama, beef, and corn. 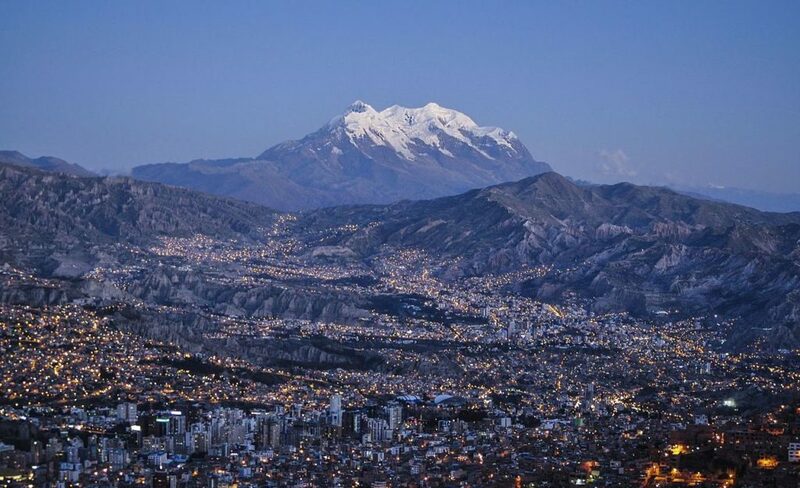 After a long climbing mission on Illimani, our expedition has returned to La Paz and is enjoying a Bolivian feast (or two) Congrats on another #CUMBRE to add to your list of accomplishments team. Now, let’s eat!